When the weather turns warm we wish we could live in our favorite summer essentials and spend all day drinking frosé. But alas, we might have to go to work, in work-appropriate clothing—something that can be a bit of a challenge when temps rise above 70. But, never fear! 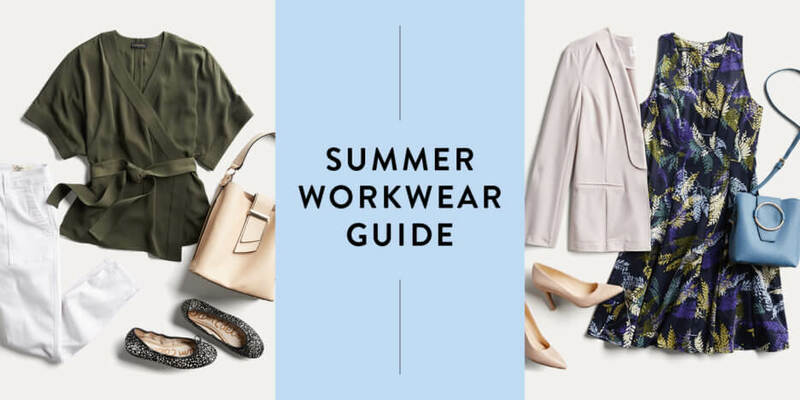 We’ve rounded up a few key pieces for your summer work wardrobe so you can be cool, calm, collected and totes profesh even when it’s steamy outside. Here’s what to wear to work when it’s hot out. A sleeveless dress can (and should) be a warm weather staple in your closet. Pick up one in a season-appropriate print and wear it with a light colored blazer (a must for overly air-conditioned offices or more conservative environments). Accessorize with neutral pumps and a cute cross-body and your Monday what-to-wear scaries are solved. Lightweight trousers are a weekday savior in the summer months. Choose a looser cut in a deep ocean blue for even more comfort and pair with a sleeveless blouse in a summery peach. Add pointed-toe flats and leather accessories and leave the house with an extra boost of confidence, on even the hottest of days. 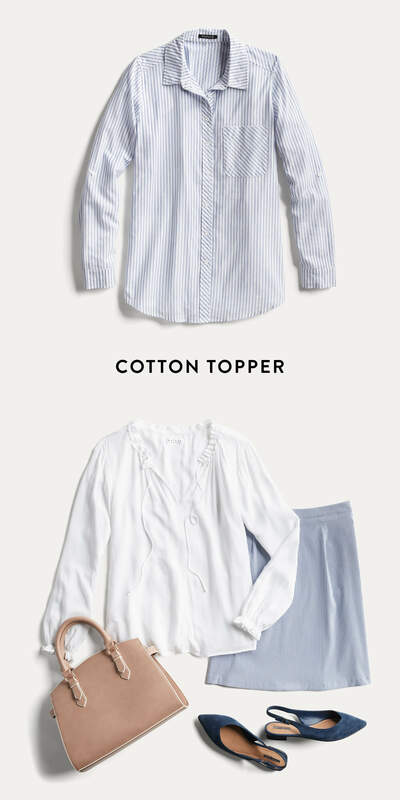 The innate cooling properties of natural fibers are exactly what a summer work wardrobe needs, and cotton blouses should be a priority when putting together warm weather outfits. Not only do they feel cool, they look crisp and professional, even when you feel anything but. A cotton, peasant style top dresses up nicely when paired with a skirt and a ladylike shoe and bag. 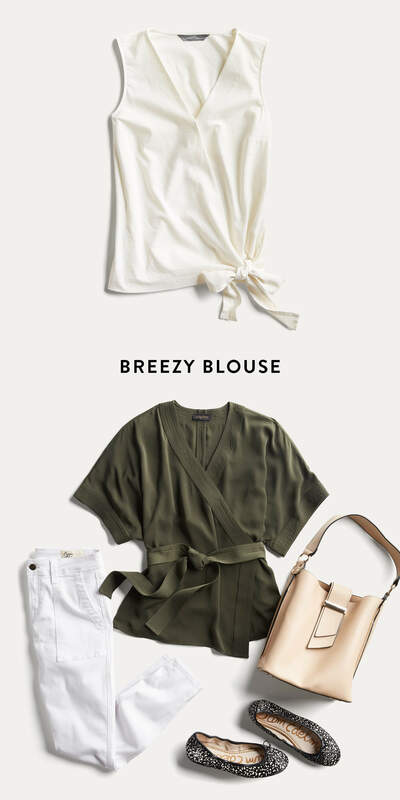 Speaking of tops, there are tons of summer top styles that look great with your favorite work pants or skirts and add just the right amount of office chic. We love this short-sleeve kimono style in elegant olive paired with crisp white pants and a cream bucket bag. Add flats in an olive shade to tie the whole thing together and you’ve got a look perfect for work. Repurpose the top with your favorite pencil skirt for date night. Now you’re totally ready to plan some cool and comfortable work looks as the temperature rises. Stay cool and (just as important) look cute! 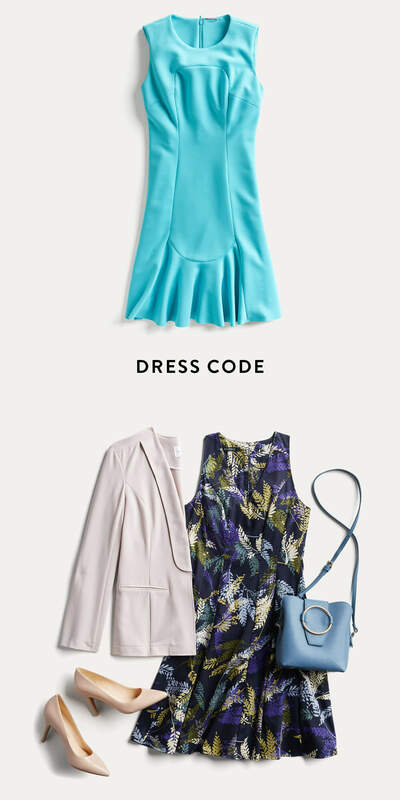 Ready for new clothes for work this summer? 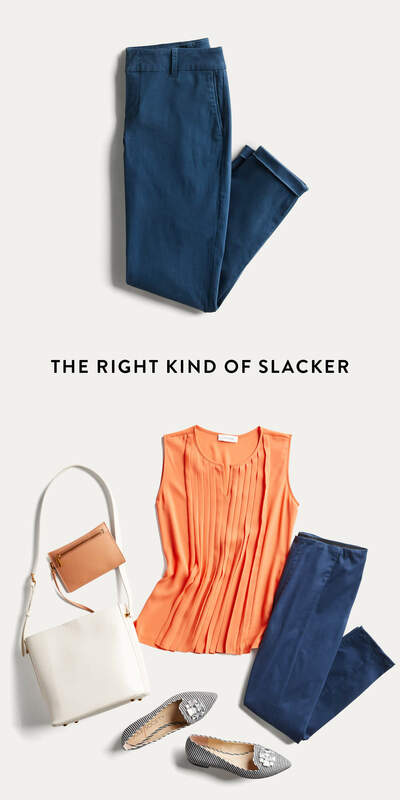 Schedule a Fix & let your Stylist know which of these summer work essentials you need.